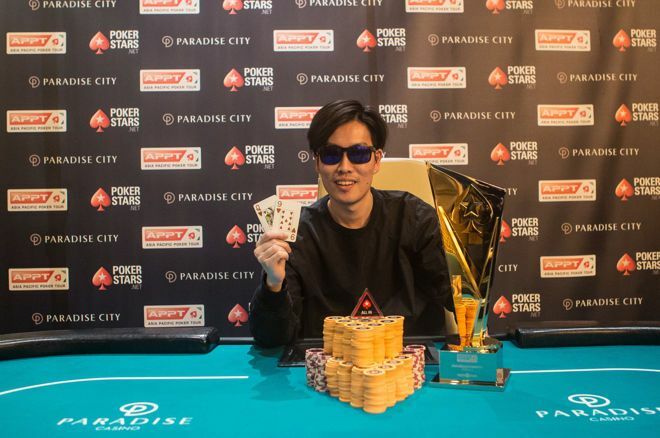 A champion has been crowned in the ₩4,000,000 ($3,525) High Roller Event and it was a fitting end to 2019 PokerStars APPT Korea festival at the Paradise City Casino in Incheon, South Korea, which saw all events across the board boost their numbers significantly. 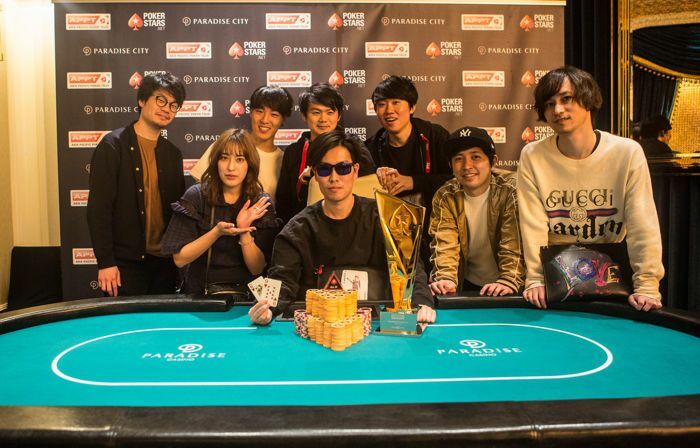 Keiji Takahashi led the field as chip leader into the final day and went wire-to-wire to lift the trophy and take home the first-place prize of ₩143,890,000 ($126,623) after defeating Jian Yang heads-up. A quick look on The Hendon Mob reveals no recorded live cash for Takahashi, who considers himself more of a cash game player and was part of a large group of poker enthusiasts from nearby Japan that made the short flight to South Korea. Eight other Japanese players finished in the money including Jun Obara and Kazuhiko Yotsushika. APPT Korea National champion Yan Li narrowly missed out on an unprecedented third title at an APPT festival and finished in third place. The final table also featured Yongwei Mo, World Series of Poker bracelet winner Calvin Lee, and Weiyi "Wayne" Zhang. The two-day event saw 72 players out of 155 entries return to the table on the second day of play. With the registration open for the first level of the day, a flurry of eliminations, new entries and re-entries boosted the field to 181 entries in total, creating a prize pool of ₩649,609,000 ($571,656). The top 27 spots were paid at least ₩6,495,000 ($5,716) and Dong Chen, as well as Huijie Zhou, were eliminated on separate tables to let the money bubble burst. Eventual champion Takahashi called all in on the money bubble, too, and doubled through Yotsushika who ran a gutsy bluff with seven-deuce. With one further level of late registration and reentry allowed, players arrived and left in quick succession. Among those to buy in two more times was Kazuhiko Yotsushika. Super High Roller finalist Irshat Shaykhov put his hopes on a flush draw and ran into pocket aces just when the registration for the event had officially closed and from there on out; the field was thinned at an alarming pace. Among the notables that missed out on the money and busted before the dinner break were Natalie Teh, Ken Okada, Nan Hong, Danny Tang, Yuri Ishida, Dong Guo, Short-Deck champion Phachara Wongwichit, Alex Lee, Daniel Lee, Pete Chen, Robert Glasspool, and Michael Soyza to name just a few. For Michael Soyza, it was a tale of two hands that decided over the fate of the Super High Roller champion. First, he four-bet jammed with eights into the pocket jacks of Yasreel Praveen Doddaiavar. Soon after, he got it in with ace-nine suited against the pocket queens of Tianyuan Tang. Two nines appeared on the flop, but a queen accompanied them to leave the Malaysian with just one out. Quads indeed came on the turn, but it was the case queen instead to leave Soyza drawing dead. Randy Lew was left very short two spots off the money bubble and hand-for-hand was enabled with two players to go empty-handed. Lew doubled and one hand later, three players were all in and at risk. Kazuhiko Yotsushika ran a gutsy bluff with seven-deuce, and Keiji Takahashi called with queen-ten for kings and tens to get back into contention. At the same time, Dong Chen lost a flip with deuces against ace-queen and Huijie Zhou got it in with eight-seven suited against the queen-eight suited of Yan Li to end up second-best to a king-high straight. In a matter of minutes, the final three tables were set once the bubble had burst with Lew among the casualties. 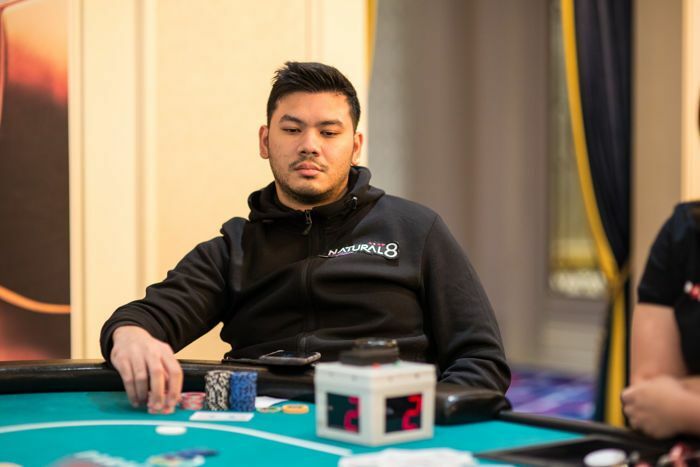 Wai Kiat Lee lost a flip with king-queen against the pocket fives of Daniel Smiljkovic, and Jun Obara ran out of chips in a three-way all in at the same table just minutes later. Kenny Shih also missed out on the final two tables when his ace-king found no help in a flip against pocket sevens. On the way to the final table, Yan Li dominated at the top of the counts. Wayne Heung had to settle for 15th place, and the wild roller coaster ride of Kazuhiko Yotsushika ended in thirteenth place. 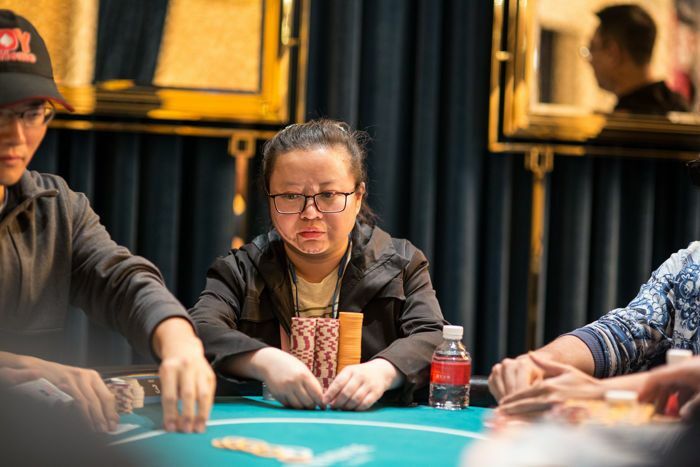 Yilu Yuan, who bubbled the APPT Korea Main Event and doubled on the High Roller bubble, then lost a big pot with flopped two pair, as eventual runner-up Jian Yang jammed with nine-six suited for middle pair and a flush draw and immediately turned a flush. Yang finished the job with ace-queen versus eights and also claimed the stack of Chuanshu Chen with aces versus jacks. Yang was also responsible for the first elimination on the final table as Yunye Lu jammed with eights into his kings. Shinryo Nonin lost most of his chips to Yasreel Praveen Doddaiavar and busted the very next hand before Doddaiavar, and Wayne Zhang became the next two casualties. Down to the last five, Yongwei Mo (ace-eight) and Calvin Lee (ace-queen) moved all in with their short stacks and Yang held aces in the small blind to score a double knockout and jump above half of the chips in play. While Yang had done most of the work until then, it was Takahashi that ramped up the aggression and claimed the stack of Yan Li. First, he turned two pair and rivered a flush to take more than half of it, shortly after he cracked Li's aces with ten-nine suited. Heads-up play started with almost 90 big blinds apiece, but it would take less than half an hour to determine a champion without a deal being discussed. The lead changed a few times before Takahashi pulled into a solid lead. Eventually, Yang three-bet jammed with king-deuce for top pair on the flop only for Takahaski to call with queen-nine suited and the flopped straight to let his rail from Japan erupt in applause. Hung Sheng Lin Leads Final 12 into Day 3 of 2019 PokerStars APPT Korea Main Event!